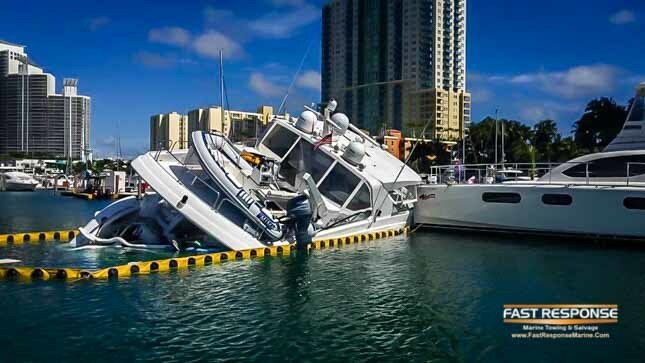 Fast Response Marine Unit# 1 was on scene at Miami Beach Marina where an attempted theft left an 80′ Hatteras yacht partially submerged after the thief crashed into marina docks and several other boats. 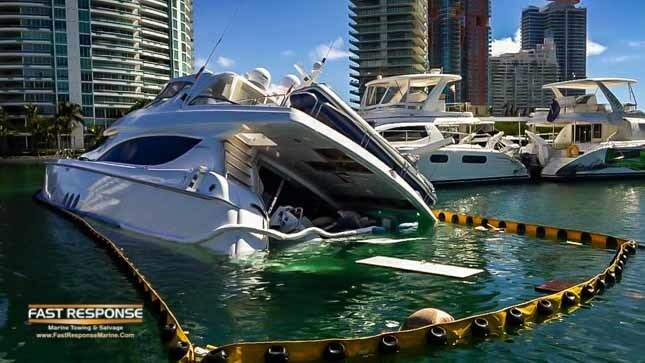 Miami Fire Rescue and the Coast Guard report said the thief jumped overboard after crashing and swam away. They were unable to find him.